Last week, a rumor has been going around, stating that the BMW 335i Wagon version will not make its way into the U.S market, and it will remain available only in Europe.The fellows at Autofiends.com came across an unofficial confirmation through a BMW source that assured them the 335i Wagon is not in BMW's plan for the U.S market. 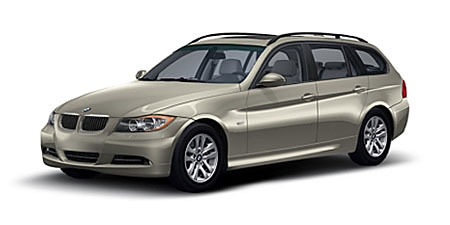 BMW has been consistent when it came to the wagon/touring 3 Series models and back in the E46 days, there was only a level entry car and not their most powerful version. Also, the BMW X1 due to be released next year and which will fit between the X3 and the 3 Series wagon, will be marketed initially to the European market, with no immediate U.S release plans. Those of you drooling over the 335i Wagon with its powerful 300 ponies, you will probably have to shell out some more money and go for the "big brother", the 535i Sports Wagon.